eMagin announced a new OLED microdisplay with a digital interface, the SVGA150 OLED-XL. This is an update to the company's SVGA+ OLED microdisplay. The new display has as 15-micro pixel-pitch, is built on a single crystal silicon backplane and measures 18 x 16 mm (5.01 mm high). 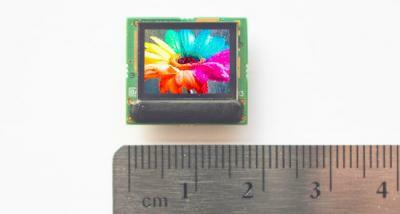 eMagin says that this new display is twice as efficient as eMagin's older generation display. This new display joins eMagin's family of digital interface OLED-XL microdisplays, which also includes VGA and WUXGA displays. eMagin plans to announce additional products in the family in 2013. Has Micro-OLED get flicker? If yes then I want to buy soon it.